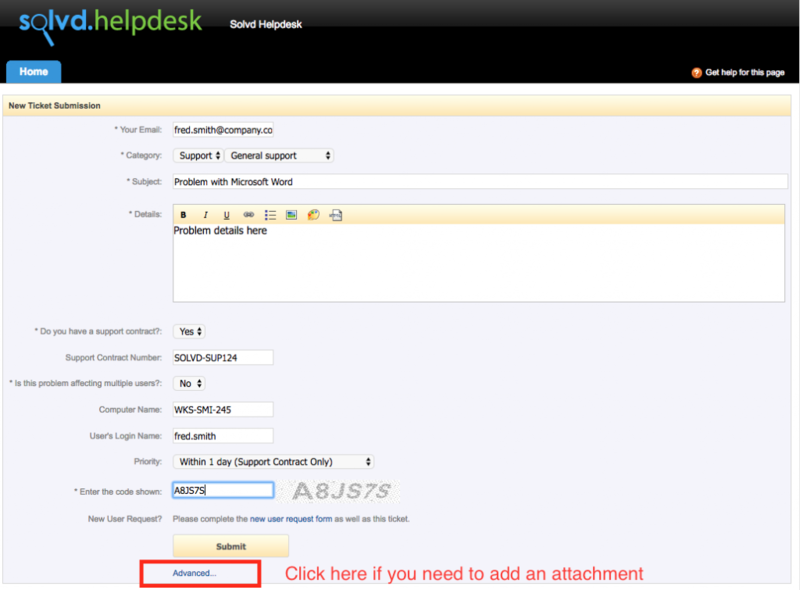 At the bottom of the form, there is a link called ‘Advanced…’ as shown below. Click this. Next to File Attachment (optional), select ‘Choose File’ (Mac) or ‘Browse’ (Windows) and choose the file you want to attach. Submit your Ticket as normal.